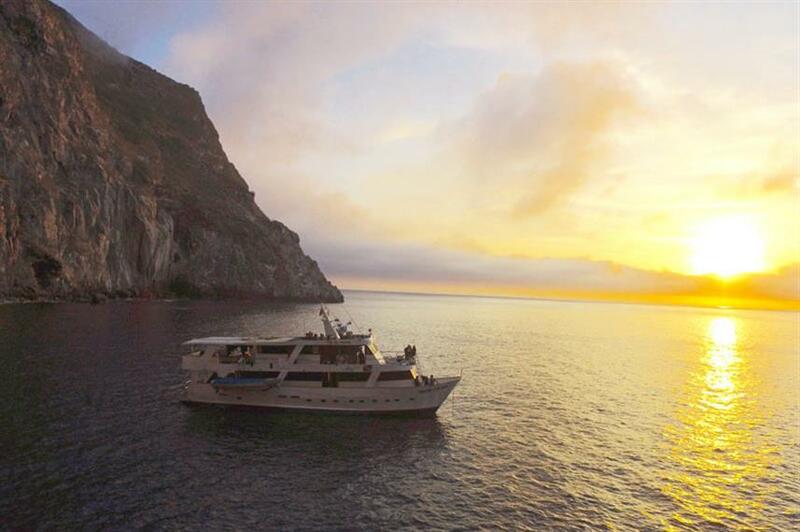 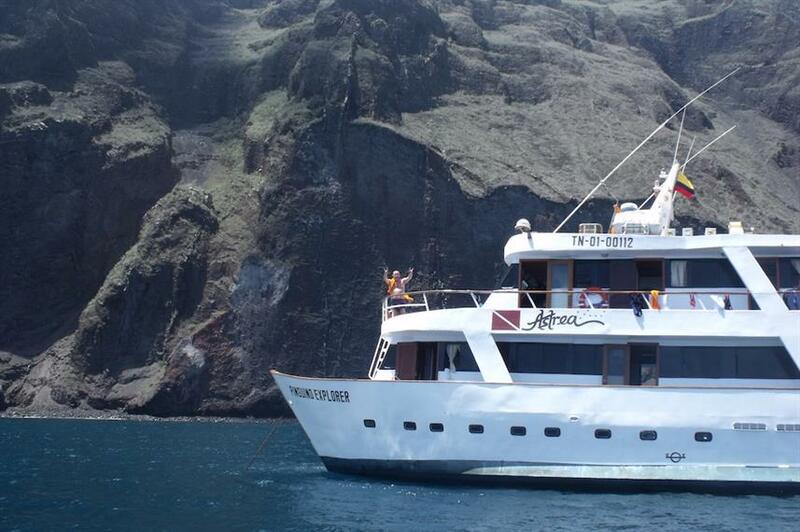 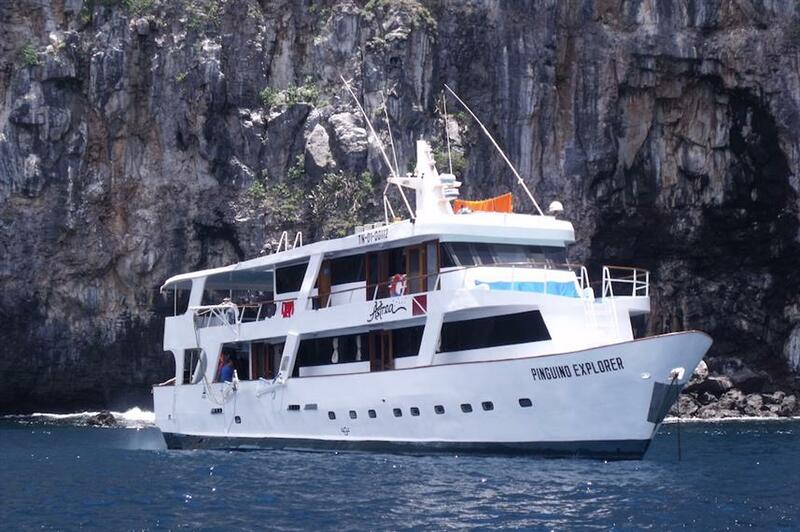 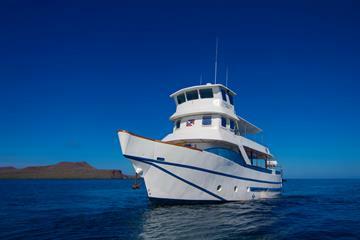 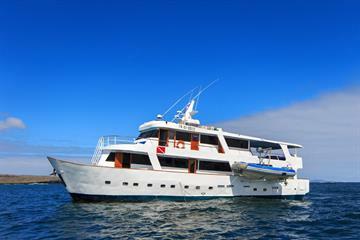 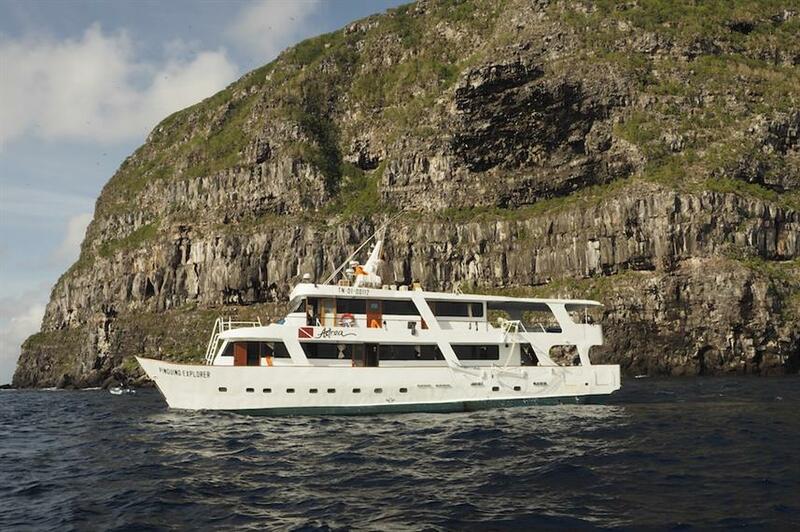 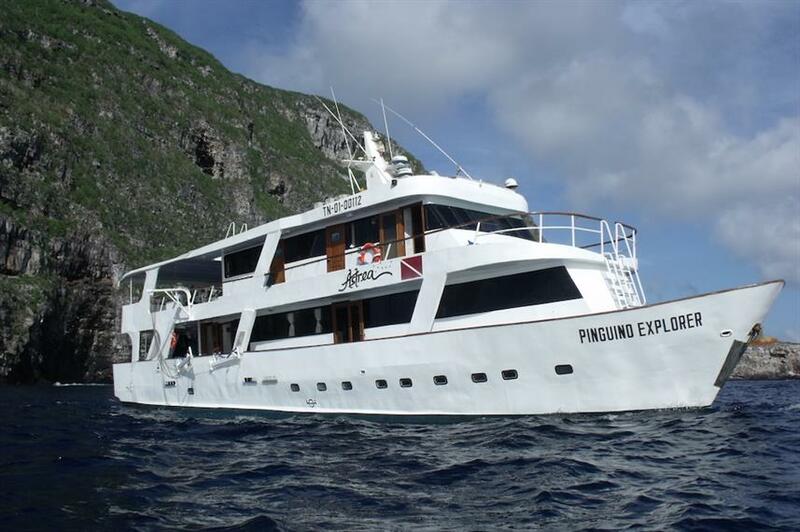 The 25m Astrea Liveaboard offers year round diving trips to the Galapagos National Park. 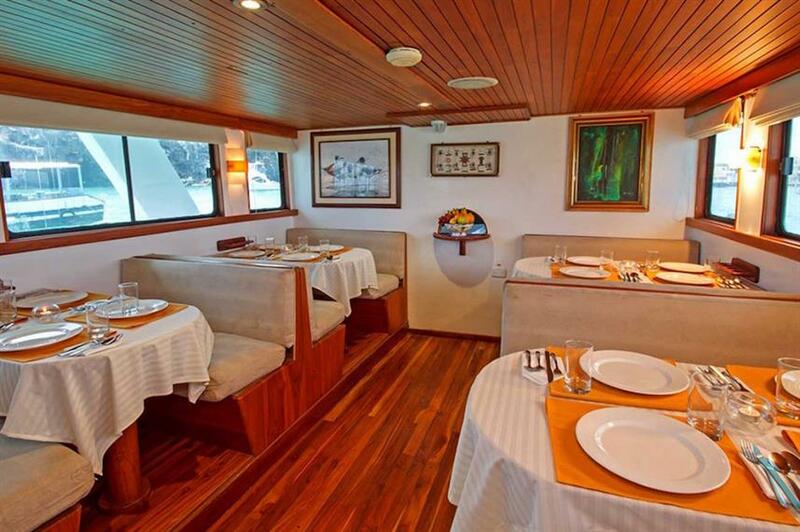 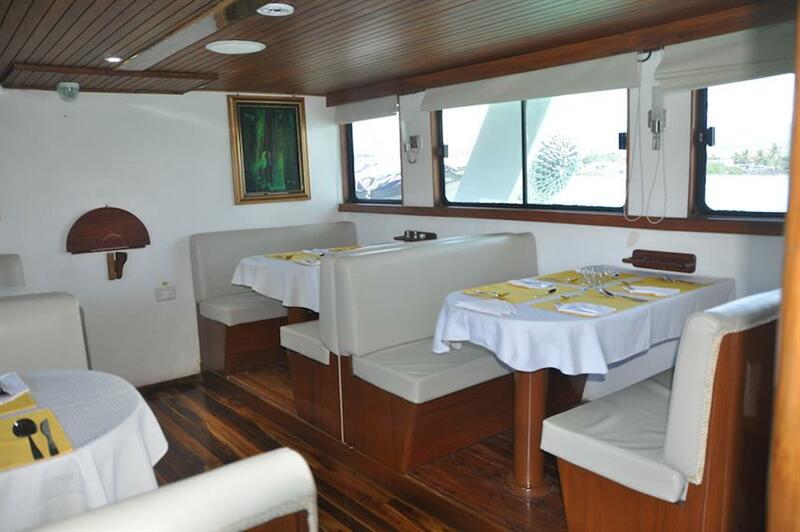 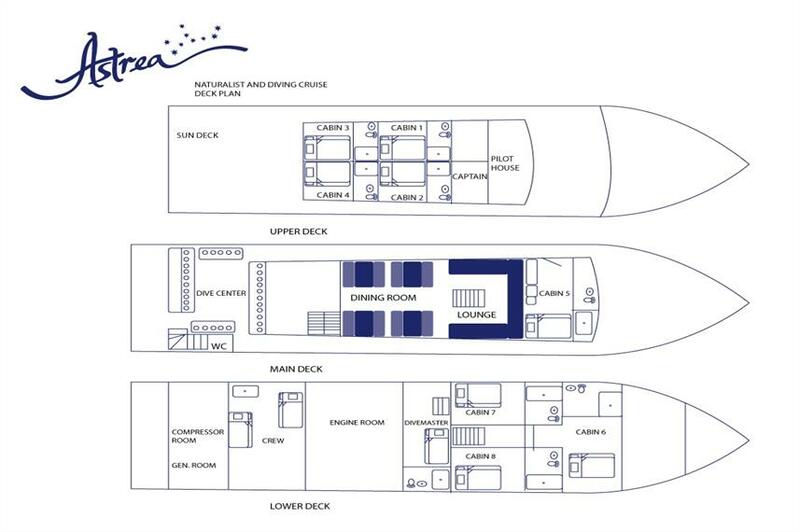 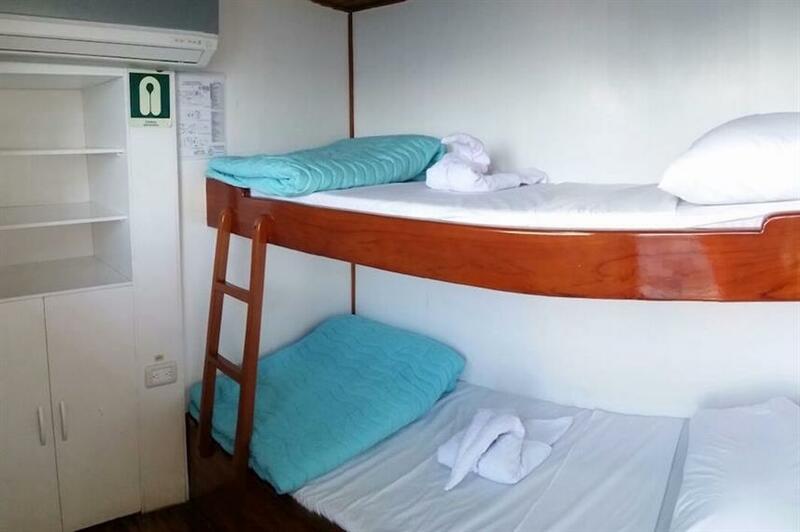 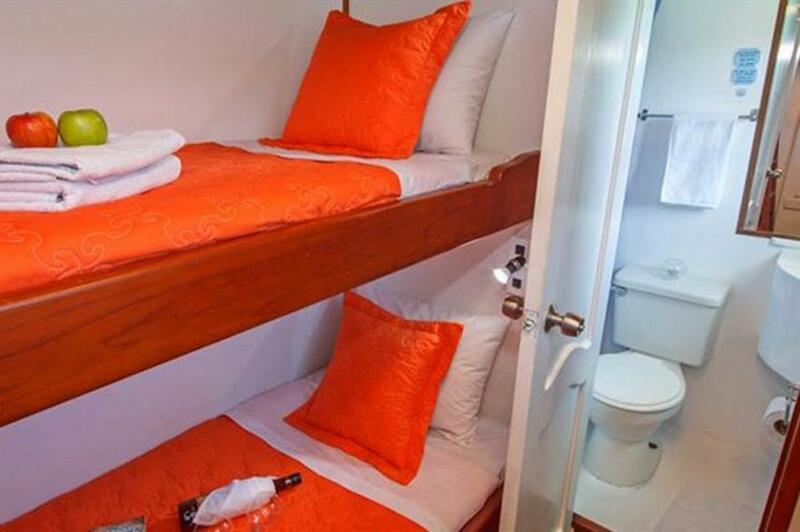 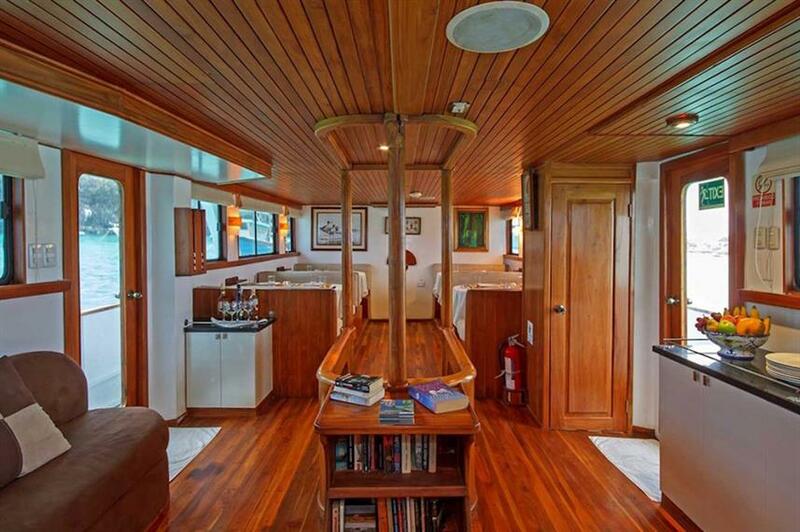 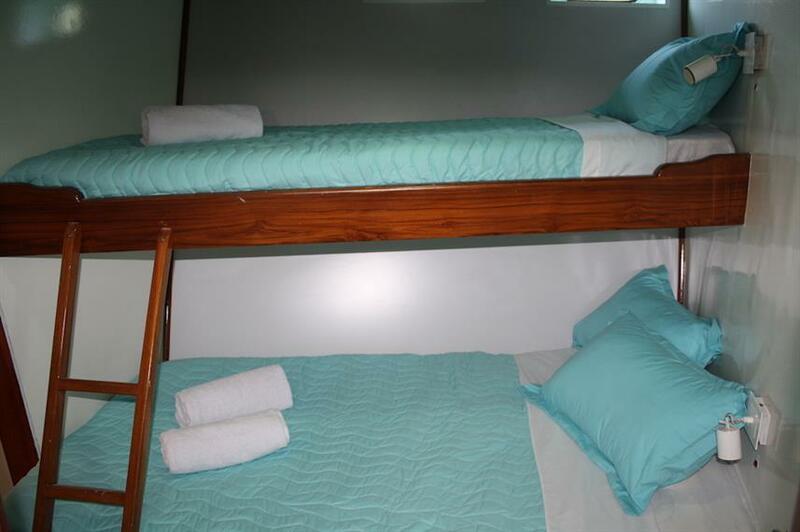 The Astrea can cater to a maximum of 16 guests in 7 twin cabins and one double cabin. 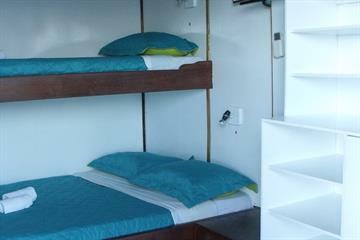 Each cabin offers air-conditioning, en-suite facilities, reading lamps and storage space. 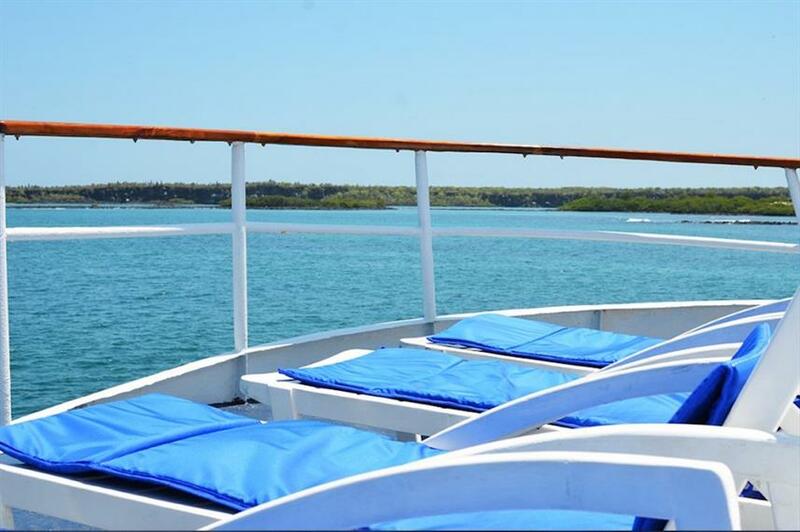 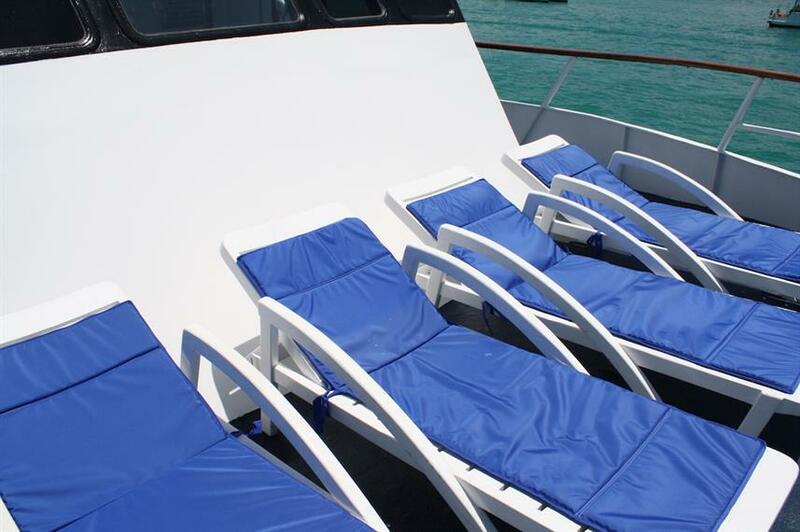 For relaxation aboard the Astrea Liveaboard guests can enjoy the air-conditioned lounge with TV, stereo, library, movies and table games, or enjoy the stunning Galapagos views out on the sun deck with cushioned loungers. 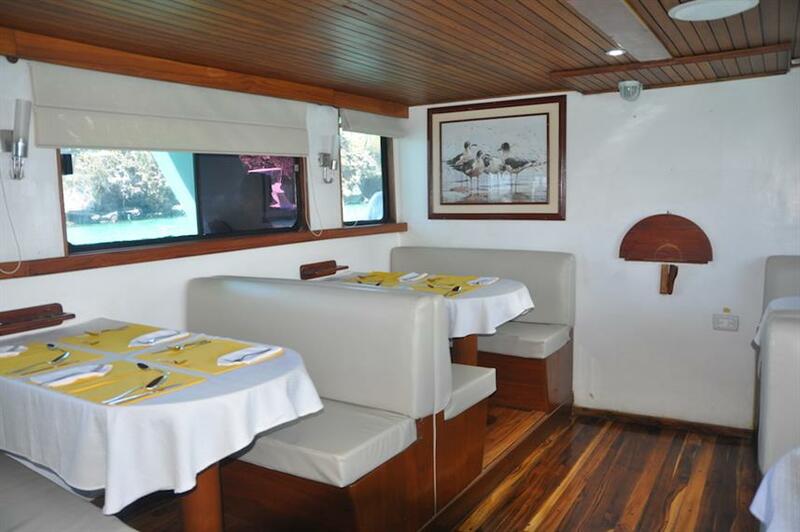 Hungry divers will be well taken care of with both International and Ecuadorian freshly prepared dishes being served both a-la-carte and buffet style in the air-conditioned dining area. 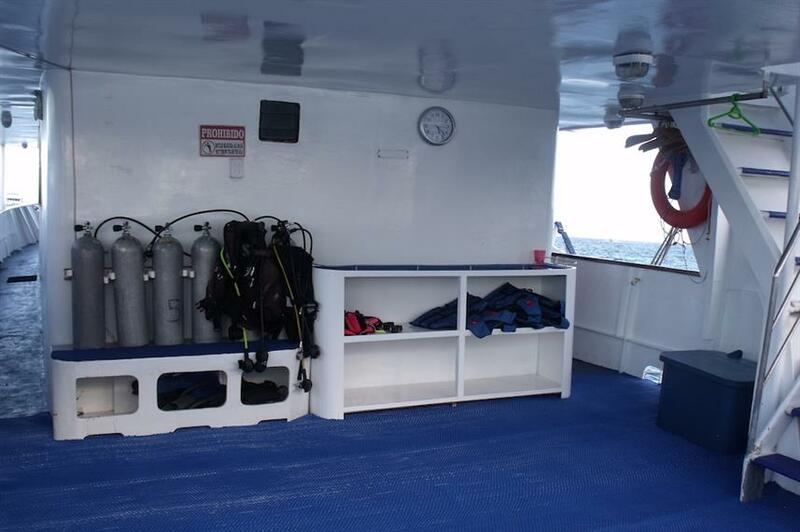 For divers there is a spacious dive deck complete with a camera table, rinse tanks and ample room for dive gear drying and storage. 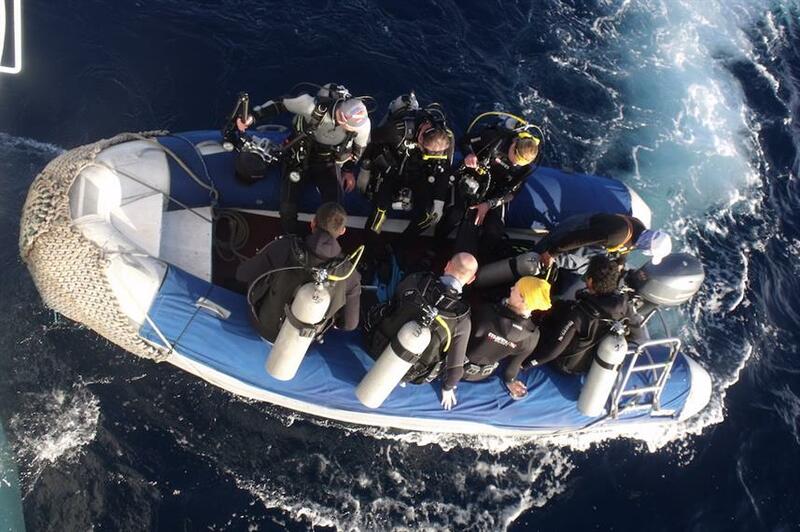 Diving is done from a tender, ensuring divers get up close and personal to the diving action. 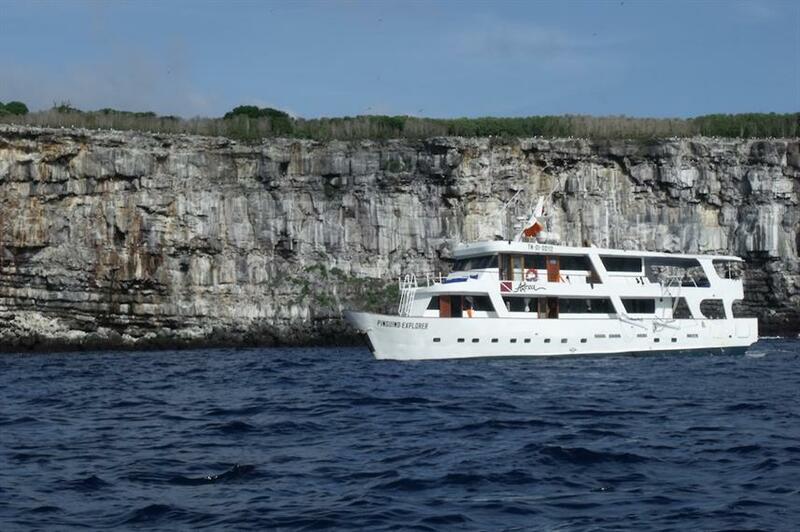 Diving iconic Galapagos dive sites like Wolf and Darwin, the experienced and professional dive guides aboard the Astrea Liveaboard will help to create a memorable diving vacation to the Galapagos. 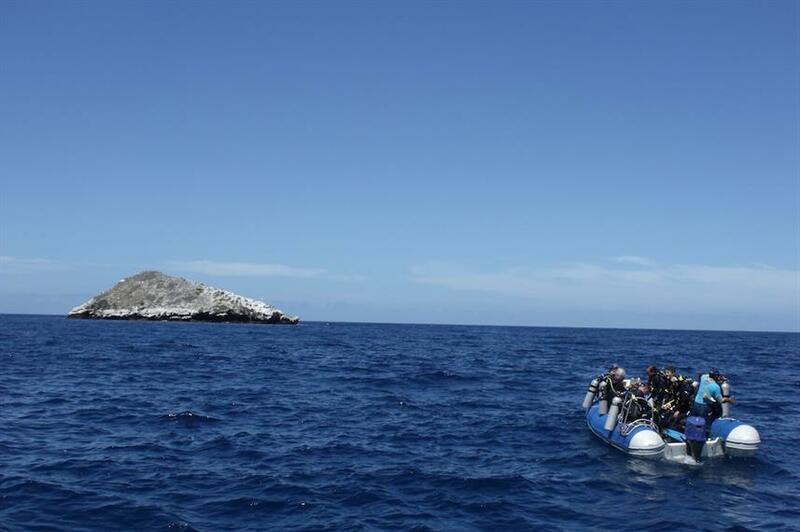 Don’t miss out and call us or reserve online today to start your adventure. 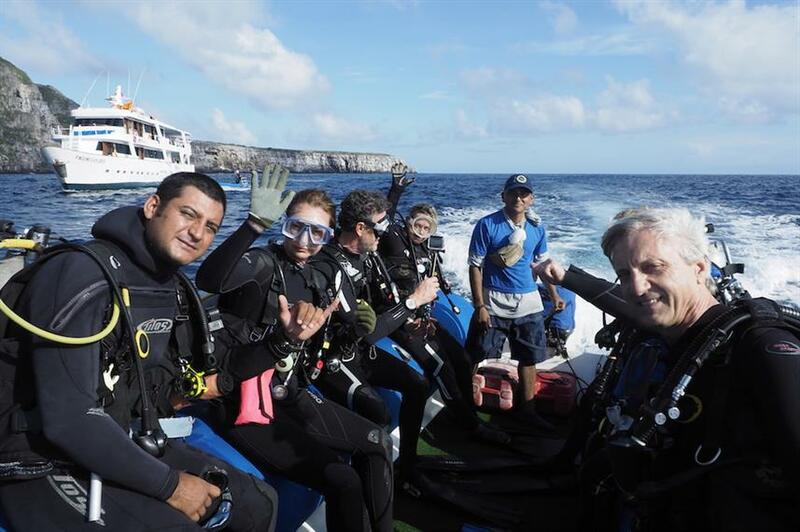 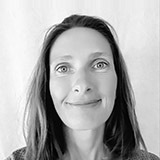 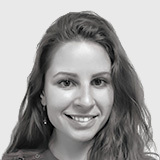 Excluded: Air ticket to / from Galapagos, Galapagos National Park entrance fee ($100.00 per person), Control Transit Card – Ingala ($20.00 per person), Tips and personal expenses, Soft and alcoholic drinks, Personal diving equipment, Nitrox $130.00 per person (payment in cash on board), Transfer from hotel ($72 per way). 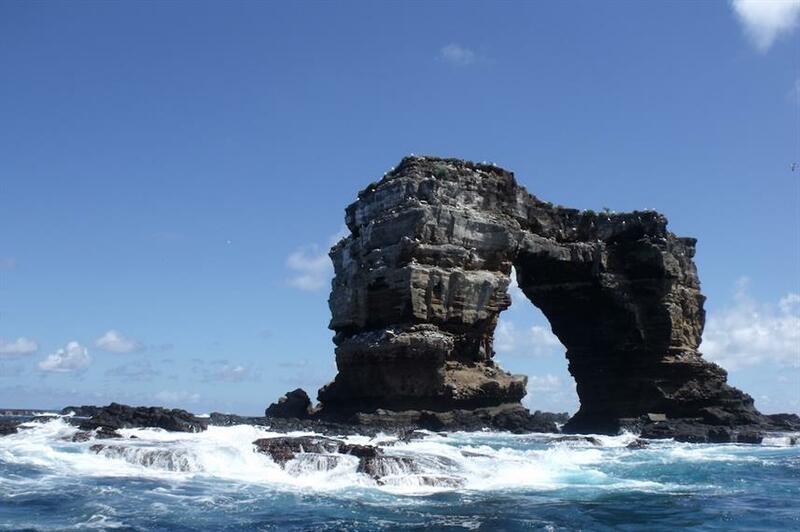 Please note: From February 2018 all passengers entering Ecuador must have public or private health insurance during their permanence in Ecuador. 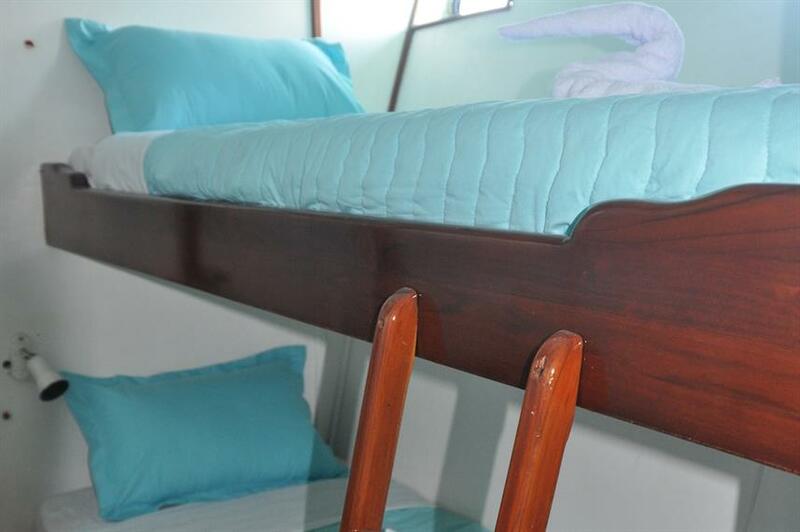 Water capacity Capacity for 8000 l Sweetwater. 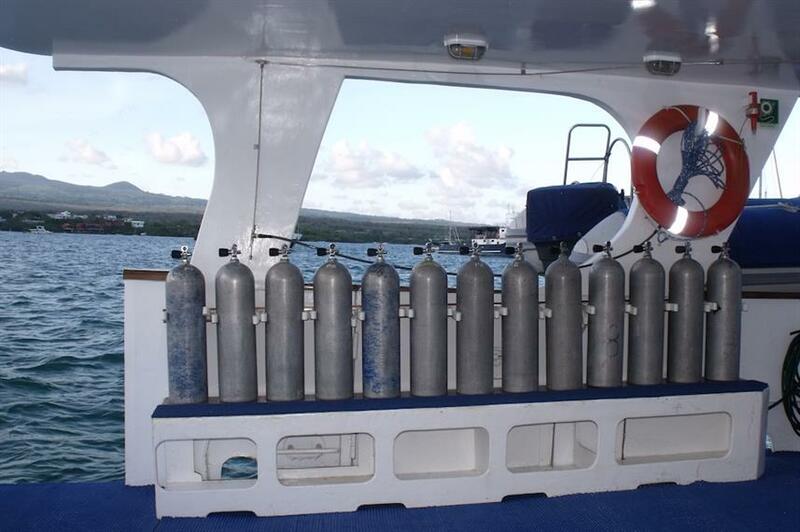 Freshwater maker Gasoline 8000 Liter. 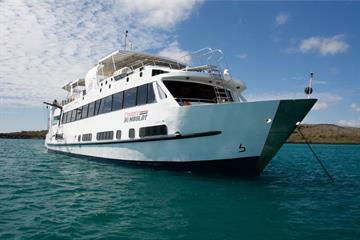 A good way to get to Darwin and Wolf. 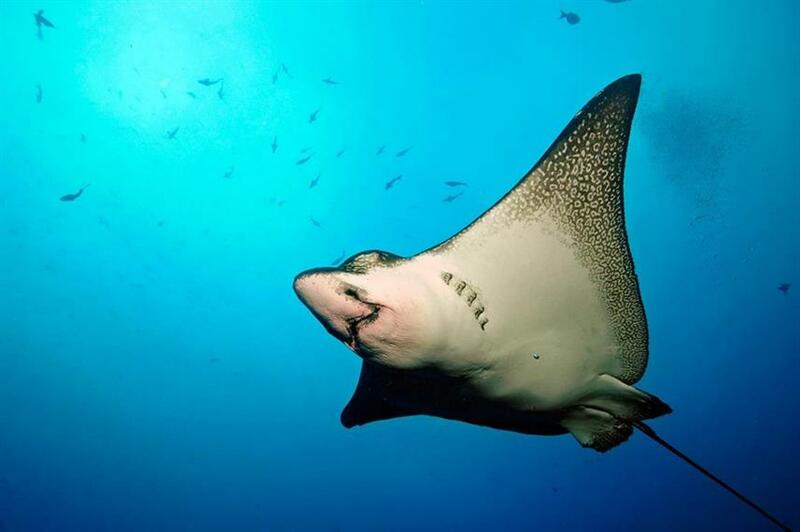 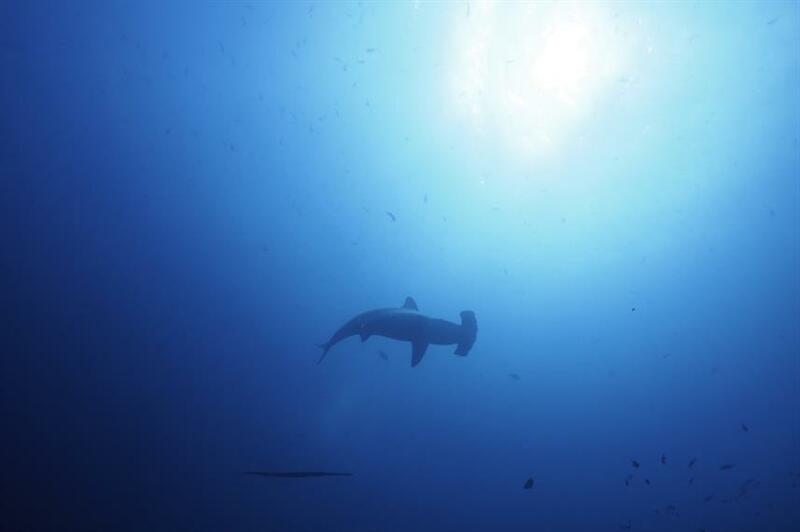 Diving in Darwin and Wolf islands with the schools of hammerheads again, after too many years. 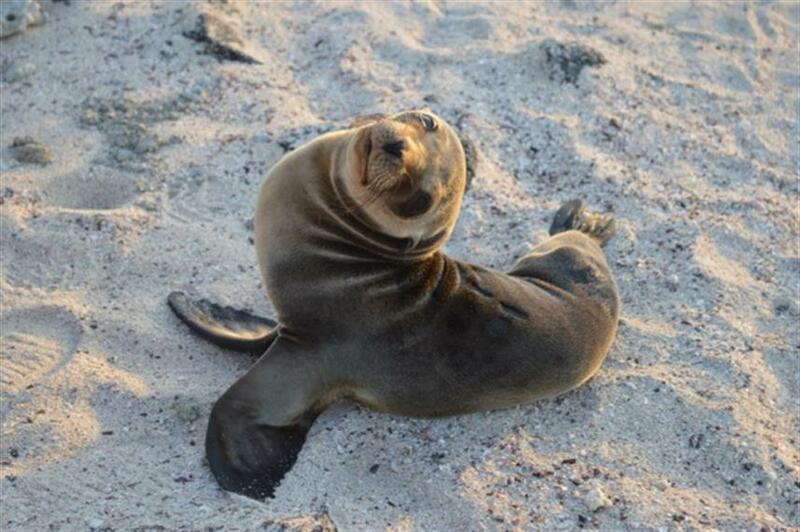 Mola molas, sea lions and other creatures are great, too. 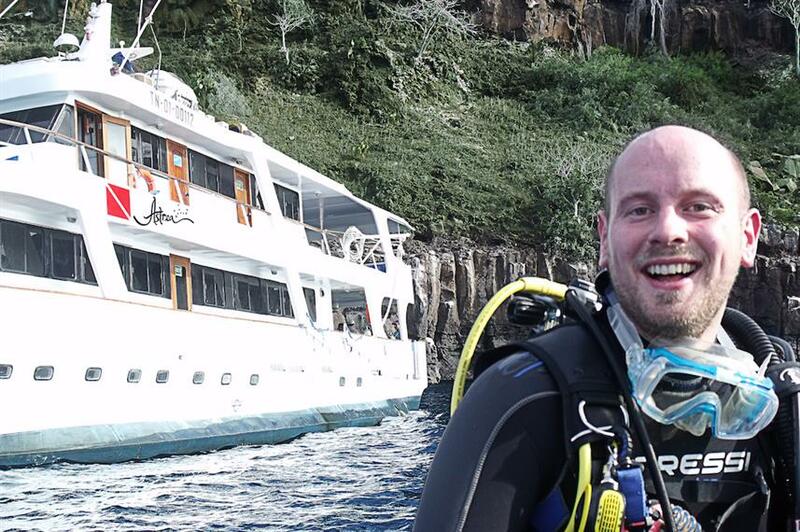 Diving in Darwin and Wolf, easygoing dive-master, great food. 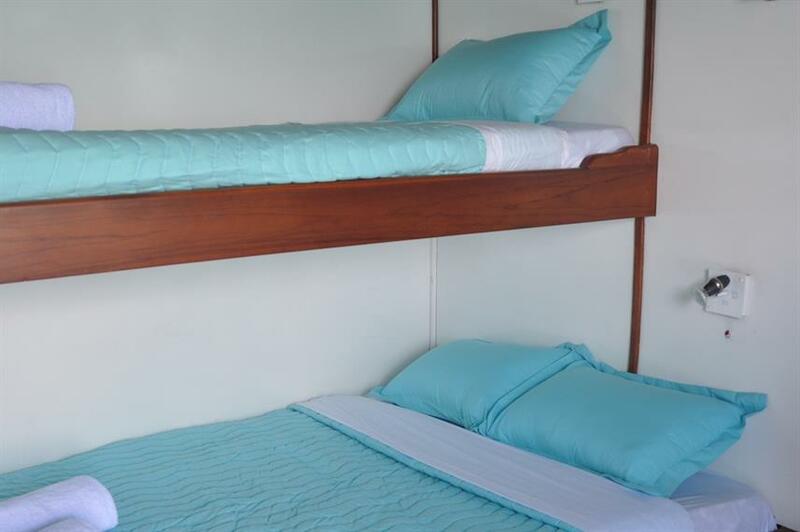 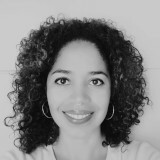 Full Equipment $665 per week (must be ordered in advance).